Vijender Singh beat Sonny Whiting by technical knockout to win his professional debut match. Catch all the highlights here. 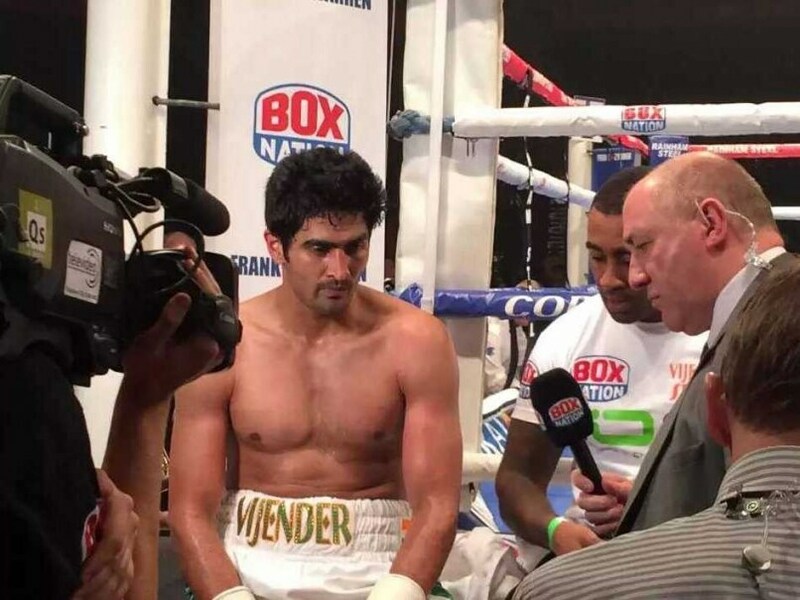 Vijender Singh interviewed by the media after winning his professional debut bout. 22:54 It's all over! The referee has stopped the fight and Vijender wins the match via a technical knockout in the 3rd round. 22:43 Vijender's coach telling him to box nice and straight in the 3rd round. 22:41 Vijender throwing a solid left and right punch on Sonny. Another good round for him and he is clearly consolidating his advantage. 22:39 It's a good first round for Vijender as the bell rings. 22:36 Vijender Singh attacks with a combination of punches as Sonny Whiting responds with an offensive approach. 22:34 The match is underway as the first of four rounds starts. Each round is of three minutes. 22:33 Vijender comes into the ring wearing a tri-colour robe with loud Punjabi music in the background. He is wearing tri-colour shorts too. 22:18 Not much to choose from between the two fighters. Vijender may be making his professional debut, but Sonny has only fought three matches at this level. 22:01 Not too many people in the stands as the time nears for the fighters to make their way into the ring. 21:51 Vijender and Sonny have been engaged in a war of words. Now they have a chance to translate that into action over four rounds. 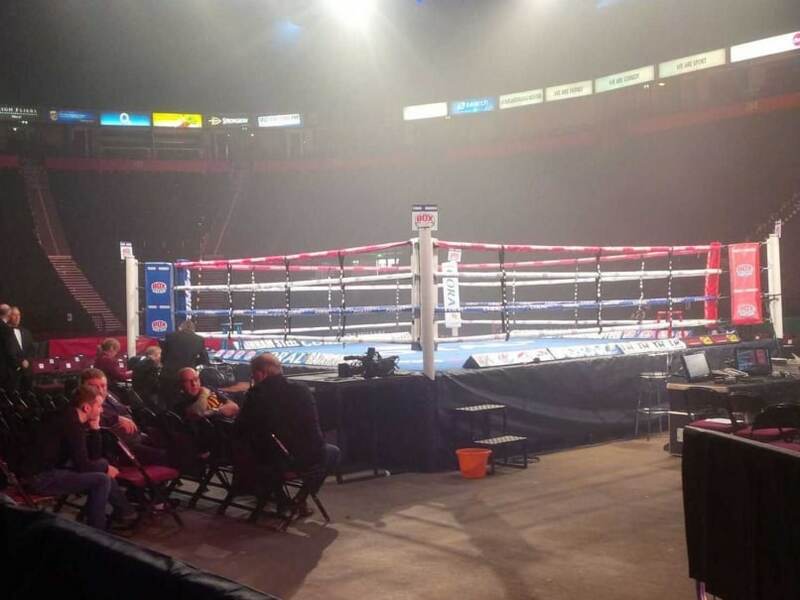 The ring being prepared ahead of the match between Vijender Singh and Sonny Whiting. 21:44 Preparations underway ahead of the start of the match in Manchester. Vijender Singh soaks in the patriotic feeling ahead of his professional debut. 21:25 British boxer Amir Khan is confident that Vijender shall do a good job on his debut. "He should be good for four rounds today," he said. 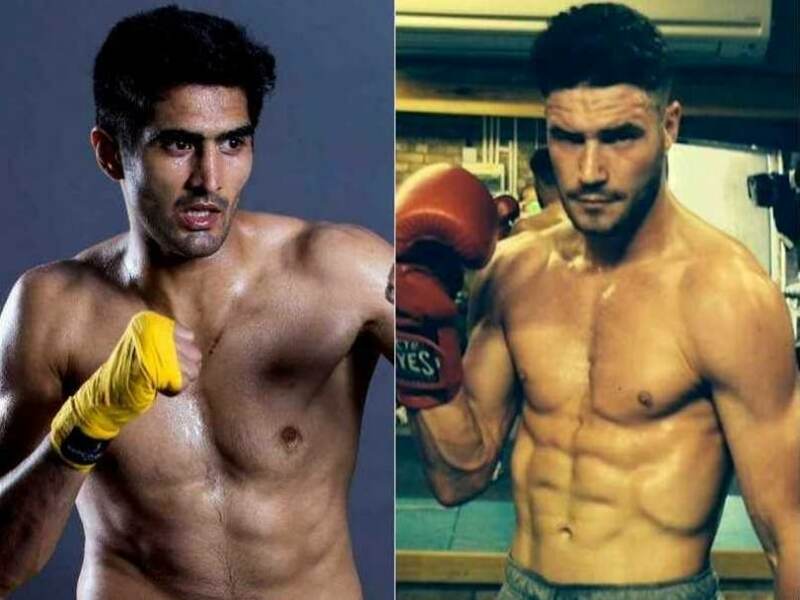 Vijender Singh and Sonny Whiting face off on October 10. An amateur till last year, Vijender's foray into the professional world is typical of a robust Haryana lad who loves to throw challenges to the world. Be it boxing or drugs controversies or Bollywood films, Vijender has always been in the news. A winning start in Manchester will make him a hero. In the run-up to Saturday night's bout, the boxers traded verbal punches, Muhammad Ali style. 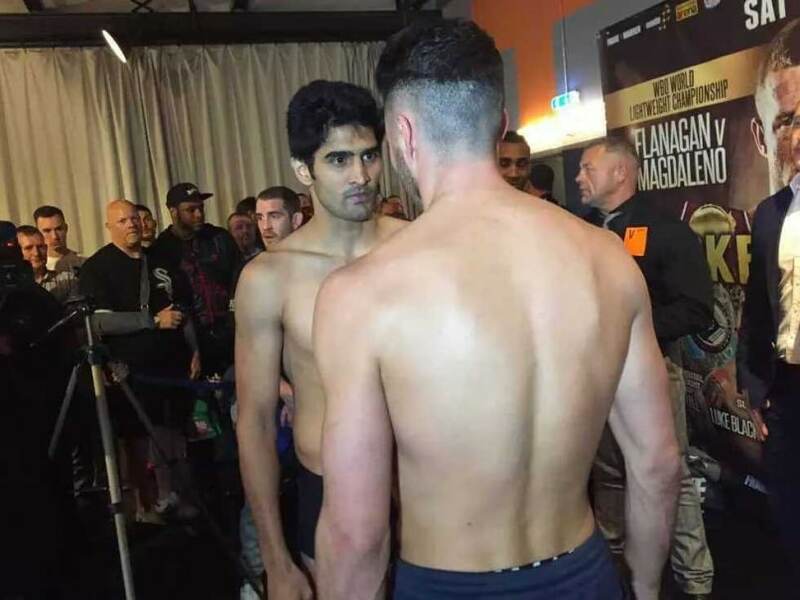 Vijender Singh and Sonny Whiting during the weigh-in session. "I have heard lots of comments about my opponent Sonny Whiting but will definitely give him reply through my punches. It's time to implement new techniques and hard work I have done in the past one month here in Manchester," said Vijender. Whiting shot back saying: "I eagerly waiting to take on Vijender. I don't care if Vijender is a superstar or a regular boxer, the result will be the same, I am going to smash him up." Whiting defeated Aaron Robinson on points in his last professional fight in Kent in March this year. In 2014, he made a good start, scoring a Technical Knockout (TKO) against James Child in Essex. Whiting, however, lost to Dee Mitchell on points in his second fight.